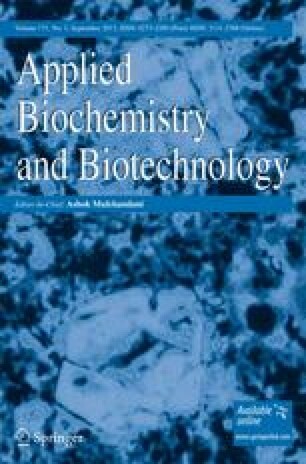 Biophysical and carbohydrate binding studies have been carried out on a lectin of Spatholobus parviflorus (SPL) seeds isolated by affinity chromatography on cross-linked guar gum. It agglutinated erythrocytes of all ABO blood groups. SDS-PAGE, both in reducing and non-reducing conditions, showed two bands with MW of 29 and 31 kDa. MALDI TOF analysis revealed two peaks at 60 and 120 kDa, indicating that SPL is a hetero-dimeric tetramer. Temperature and pH stability studies revealed that SPL is a thermostable protein and its lectin activity is unaffected in the temperature range of 0–70 °C. Its activity was maximal in the pH range of 7–8. Unfolding studies with different denaturants like urea and guanidine hydrochloride indicated its globular nature and the presence of tryptophan in the highly hydrophobic area, which could be correlated to the results of fluorescence spectroscopic studies. The effect of carbohydrate binding on the lectin, shown by circular dichroism spectra, indicated the changes in its secondary and tertiary structures. SPL exerted anti-fungal activity against Aspergillus sp. The authors would like to acknowledge SARD, KSCSTE for granting the chromatographic facility and Molecular Biophysics Unit, IISc, Bangalore for fluorescence, CD, X-ray diffraction, and MALDI TOF data.